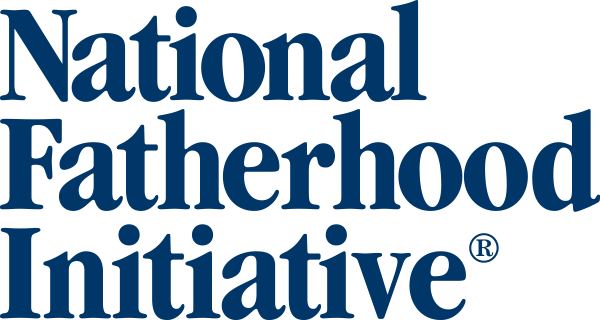 This is the first-ever national survey taking an in-depth look at how today’s mothers view fathers and fatherhood. Authored by Norval Glenn, PhD. and Dr. Barbara Dafoe Whitehead and conducted by the University of Texas Office of Survey Research, Mama Says surveyed 1,533 mothers about a range of topics, such as their general opinions about fatherhood, views on work-family balance, and obstacles to good fathering. 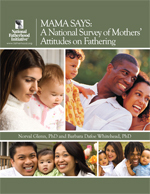 The study is a companion piece to NFI’s 2006 study, Pop’s Culture: A National Survey of Dads’ Attitudes on Fathering. The mothers' appraisals of fathers' performances differed dramatically according to whether or not mom and dad lived together. Mothers report less satisfaction with fathers of teenage children than with fathers of younger children. 9 in 10 mothers (93%) agree that there is a father absence crisis in America today. "Work responsibilities" were ranked as the biggest obstacle to good fathering. Mothers - even those that indicated that they were "not at all religious" - indicated that "churches or communities of faith" are the best places for fathers to learn about fatherhood.